Children make 775,000 visits to the emergency room each year because of sports-related injuries. Every 2 and a half minutes a child is injured on a playground. 150,000 kids are treated in the emergency room for football injuries. These injuries are often accompanied by trauma to the child's developing spine and nervous system. 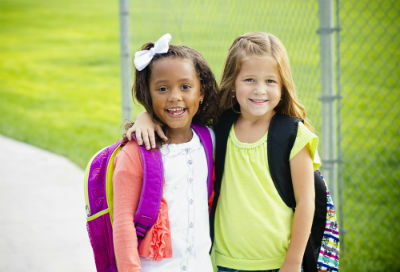 More than 40 Million students carry school backpacks. Backpacks that are too heavy or worn incorrectly can injure your child's back, neck and shoulders, which can lead to other health problems. British medical researchers have found through MRI technology that nearly 10percent of children show signs of disc degeneration before reaching puberty. There are so many things to do to prepare for the upcoming school year. As you make your list remember to make an appointment for a "Schools Back" Spinal Exam. This simple examination can determine if your child's spine is on track or off track. Chiropractic care can keep your childs spine and nerve system healthy and insure your best school year ever. Get them started on the right track today!